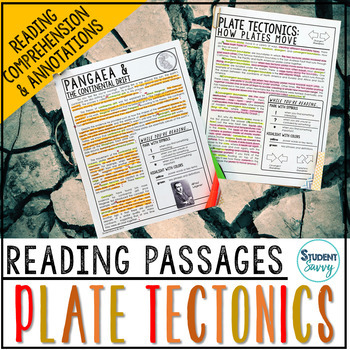 This resource is designed for a Plate Tectonics unit. 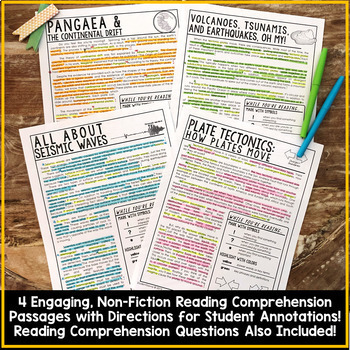 It contains 4 Engaging, Non-Fiction Reading Comprehension Passages with Directions for Student Annotations! Reading Comprehension Questions also included! 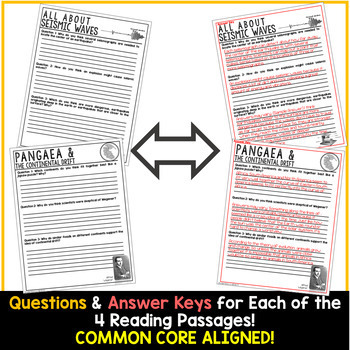 Questions & Answer Keys for Each of the 4 Reading Passages! -Describes continental drift and defines the different parts of the earth that can slide, move apart, or move together. 2.) 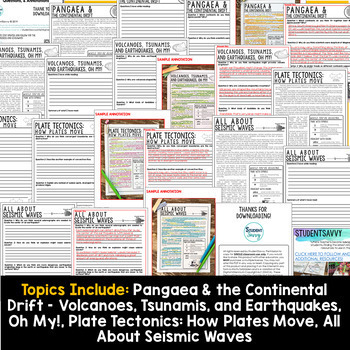 Volcanoes, Tsunamis, And Earthquakes, Oh My! -Overview of geological events that can occur after the shifting of tectonic plates.